New scientific research backs up what any visitor to Bermuda’s Dolphin Quest could tell you: the dolphin inhabitants enjoy interacting with humans as much as we enjoy playing with them. The study, published this summer in the journal Applied Animal Behaviour Science, finds that dolphins in professional human care display behaviours that demonstrate they keenly anticipate interaction with humans. This finding reveals that the dolphins in the study perceived interactions with humans as rewarding. Marine mammal facilities such as Dolphin Quest, whose Bermuda Ocean Habitat sanctuary is one of the largest and most natural dolphin habitats in the world, are life-saving arks of hope for wild sea life that is threatened by many human factors including marine debris, habitat degradation, overfishing and pollution. These facilities educate and inspire visitors to care about and protect marine life while supporting vital marine mammal conservation efforts. Today’s ocean is becoming increasingly affected by plastics, pollution and marine debris. In many areas of the ocean, scientists find more plastics by weight than plankton. A Plymouth University study finds that plastic pollution affects at least 700 marine species, and some estimates conclude that at least 100 million marine animals are killed each year because of it. This pollution threat was brought home by a viral video, viewed more than 32 million times, of a straw being removed from the nose of a sea turtle. Ecologists suggest we are at the beginning stages of a sixth mass extinction, with 4,529 mammal, bird and amphibian species deemed at risk of extinction on the International Union for Conservation of Nature Red List. This includes several species of dolphin that have been driven to the brink of extinction by overfishing, habitat destruction and pollution. Wild populations of animals desperately need our help. Marine mammal facilities such as Dolphin Quest support conservation research that can help to preserve animals in the wild. This is conducted through significant grants and on-site studies where controlled and safe natural environments are required, allowing groundbreaking science that would be nearly impossible in the wild. Dolphin Quest has donated more than $4.1 million to support scientific studies since 1988 and has participated in numerous important research projects. In Bermuda, this includes bringing to the island international experts to undertake new scientific exploration of dolphin lung function and a continuing study of the pelagic population of bottlenose dolphins in the waters off Bermuda. By helping to study and conserve species, such centres also preserve the indescribable connection between people and animals, which has inspired generations of animal lovers. To generate support for conserving animals, people must first love animals. And to love animals, people must know them. Increasing urbanisation globally means that zoological facilities are often the only places most people get to know threatened animals. Even in island communities, we find a large number of children are losing connection with animals and the natural world. People are particularly drawn to see and interact with dolphins. To assist the public in knowing which dolphin facilities are well and ethically run, the American Humane Conservation programme provides independent audits and certifies facilities to help to ensure that the animals there are healthy, positively social, active, safe and living with proper light, sound, air and temperature levels. The programme examines exhaustively the many dimensions of animal welfare, which were defined by an independent scientific advisory committee, including the world’s leading animal experts and ethicists, providing the third-party validation of humane treatment and positive welfare that an increasingly discerning public are demanding. Less than 0.5 per cent of all zoos, aquariums and marine mammal facilities have achieved the programme’s Humane Certified seal of approval, and Dolphin Quest is part of the elite group of institutions around the world to have gained this distinction. 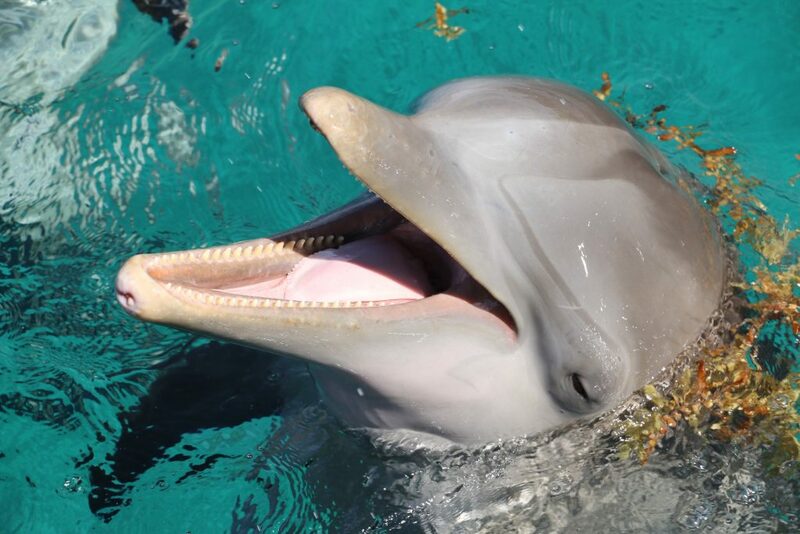 American Humane supports institutions such as Dolphin Quest, which upholds the highest standards of animal care while playing an integral role in conservation efforts. The public should, too.